LENEXA, Kan. – Executive AirShare embarks upon a new era of providing the most cost-effective option in private aviation for both business and leisure customers, officially rebranding the company as Airshare. The new name represents the company’s desire to aggressively expand their client base by attracting more leisure customers, in addition to increasing recall among their core business targets. 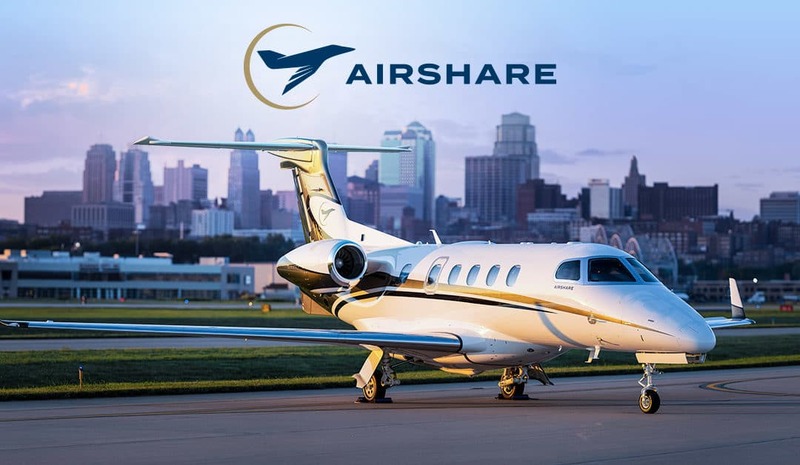 The evolution of the brand reaffirms Airshare’s commitment to shareowners in delivering greater productivity at a lower cost per hour the more they fly. Airshare’s new logo combines a contemporary wordmark with an iconic stylized aircraft. The color palette features a similar rich blue from the original mark, complemented by old gold as a secondary color, representing luxury and elegance. The plane’s eagle wings honor the heritage of the company’s previous logo, which incorporated an eagle’s beak within the center of the mark. The negative space in the slits between wing feathers symbolizes the core attributes of the brand – strength, vision and trust. The aircraft ascends in front of a gold-colored ring, evoking Airshare’s unique days-based program, which gives shareowners the entire day’s use of their plane instead of the limiting hours provided by competitive services. Airshare flies its customers any time, day or night. Prospective customers can learn more about Airshare’s fractional program and fleet at FlyAirshare.com, the company’s new website. Users can research costs by using the site’s interactive estimator, which factors in round-trip flights, average flight times and the company’s flexible interchange program. Shareowners can also create more efficiency by selecting the right-size aircraft, either the Embraer Phenom 100 or Phenom 300. Both aircraft offer the same level of comfort and style. For the first time, Airshare has one brand to encompass all of its services, bringing its charter, management and maintenance departments under the same roof as its fractional operations. Airshare recently received a Platinum rating, the highest offered, from ARGUS International after a thorough safety audit of its charter operations. The International Standard for Business Aircraft Operations (IS-BAO) also renewed its Stage 2 certification, verifying Airshare’s high management standards and practices.